Through this site, Plant & Food Research is providing open access to some of our Actinidia resources. We want to support international researchers in academia, government, and industry and we want to encourage the community to work with us. Kiwifruit is under severe threat from Pseudomonas syringae pv actinidiae (Psa) around the world. You can find information on the bacterium on our public website. This website hosts genome sequences of Actinidia chinensis and of the Psa bacterium. By making the latest information on the genome of a commercially important plant and its most significant disease-causing bacterium available together, we hope the combined expertise of the entire science community can join to tackle this challenge. Crowdsourced science can quickly generate new ideas for research and identify new opportunities for formal collaboration. and we have organized our research to tackle the problem. If you would like to explore opportunities to work with us to solve a very serious problem for kiwifruit growers worldwide, please contact us. The centre of evolution of the genus Actinidia is in Southern China and the Yangzi River Valley, with 50 to 60 species recognised in China and a few in neighbouring countries. Actinidia taxa are morphologically variable and many species are polyphyletic through hybridization. The closely-related A. chinensis and A. deliciosa belong to a grouping found mainly in the Yangzi valley. The initial domestication occurred in New Zealand with an A. deliciosa green cultivar - the cultivar ‘Hayward’ later became dominant, followed in international trade about 40 years later with an A. chinensis cultivar ‘Hort16A’ and now 'SunGold'. 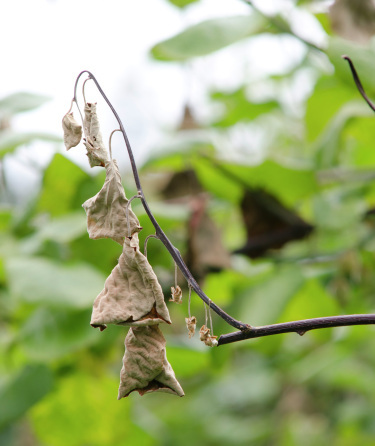 Actinidia have a basic chromosome number of n=29. However, there has been duplication during evolution of the genus as A. chinensis is diploid or tetraploid, A. deliciosa hexaploid, and A. arguta diploid to hexaploid. Gender is determined by XnX/XnY type with the male heterogametic with two genes involved, one suppressing pistil development in staminate flowers, the other pollen development in pistillate flowers. Evolution of dioecy must have occurred early in Actinidia before polyploidization and speciation and helps explain the heterozygosity of the species in the genus. BioView is PFR's Sequence Analysis and Annotation System. BioView has been used annotate gene predictions from Actinidia chinensis genomes. See SciNet's BioView Wiki for more information. This page was last modified on 12 November 2014, at 10:55.